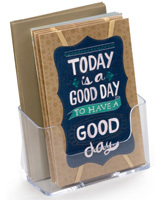 Notched Front Pocket for Easy Paper Access. 3" Deep Pocket for Fewer Refills. 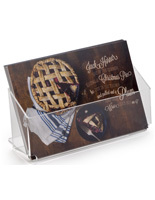 Acrylic Construction is Durable for Placement Anywhere. 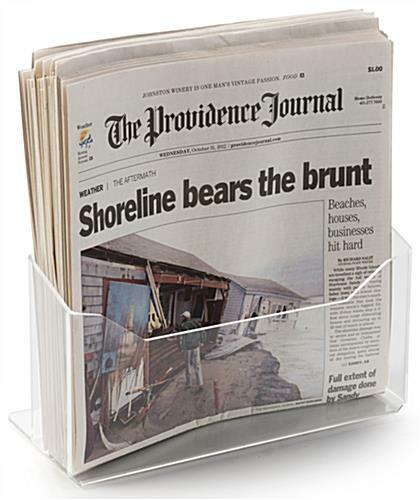 The acrylic publication holder for counters is a simple literature display that can present the day’s news to customers. 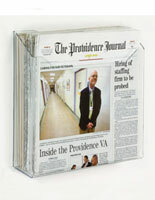 The plastic pocket is made to be 11.3” wide for the ability to hold newspapers and other wide print communications. 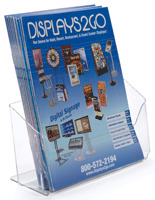 The publication holder for businesses is ideal for placement in waiting rooms and lobby reception areas as well as retail stores. 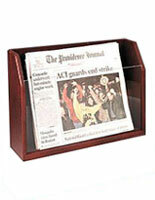 The plastic construction is durable and will last no matter in what setting it is used. 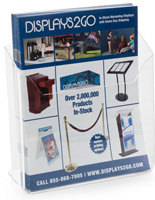 The holder has a 3” deep pocket that allows for many business circulars to be placed inside without needing to refill the fixture frequently. 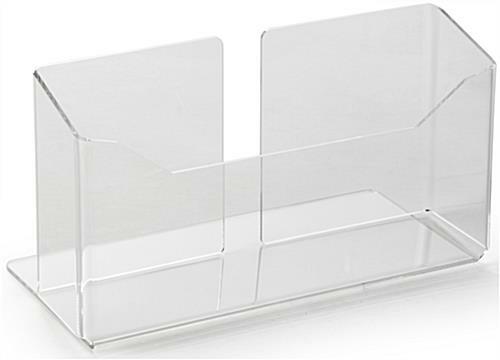 The literature display has a foot at the back that helps to steady it and keep it from tipping over.